The goldfield electorates shown on this map allowed the relatively huge population of transient miners to vote by simply presenting their miner's licence. The goldfield electorates simply overlaid existing general electorates. The result was that neighbours, one a licensed miner, the other a local property owner, would vote in different electorates. 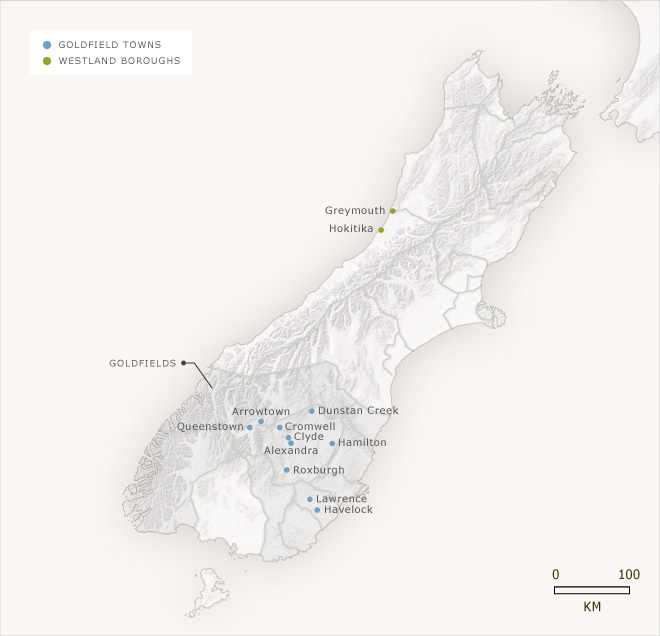 The Goldfields electorate, which overlayed the Otago province, was even stranger. It included all the small towns that had sprung up around gold mining communities. Each section of it was politically linked but geographically separate from the rest.